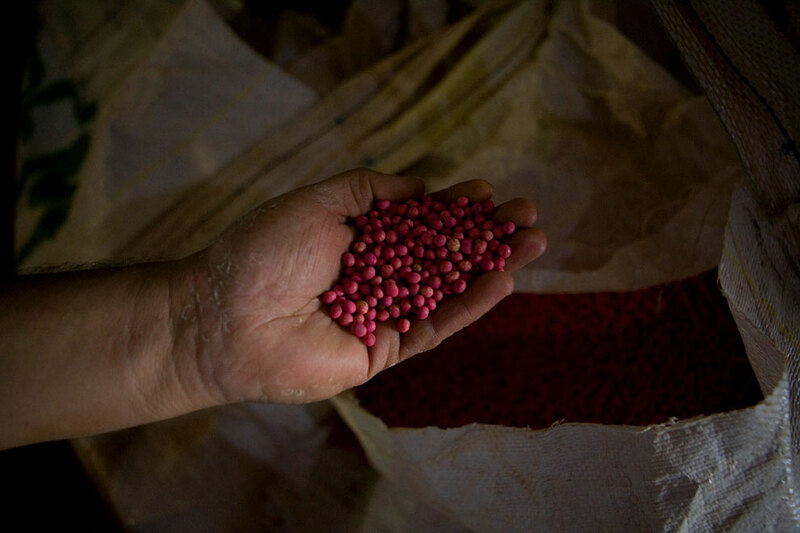 Naranjal, Alto Paraná--October 30, 2008--Chemically treated transgenic soybeans are marked with red dye before planting, to distinguish them as highly toxic and inedible. Soy cultivation dumps more than 24 million liters of agro-chemicals in Paraguay every year, including World Health Organization Class I and II extremely and moderately hazardous pesticides. These include Paraquat, a chemical with no antidote if ingested, 2,4-D, Gramoxone, Metamidofos, which has proven to reduce sperm count and health in exposed males, and Endosulfan, a teratogenic substance that causes birth defects in the infants of repeatedly exposed mothers, according to the EPA.